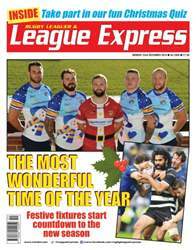 This week's League Express has all the news from Super League, the Championship competitions and the amateur game. It has all the details of the new rule changes that will take effect from Boxing Day, and we look ahead to those pre-season games. We preview the new season for Wakefield Trinity Wildcats, Dewsbury Rams and Hemel Stags. Our columnists Martyn Sadler, Garry Schofield, Gareth Walker and Malcolm Andrews survey the Rugby League scene both in Europe and Australasia. And last but not least, we present our annual Christmas quiz to keep our readers busy after their Christmas dinners. 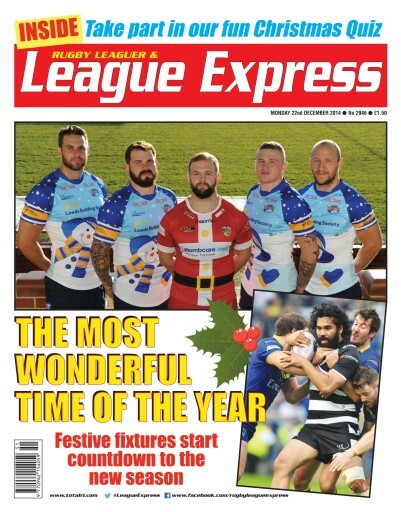 And everyone at League Express would like to wish all our readers a very Merry Christmas.